Howard Watson believes convergence will be a key differentiatior in telecoms. 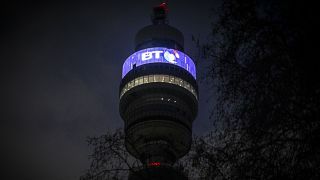 BT CTIO Howard Watson has reiterated the company’s vision of converged networks, placing 5G at the heart of smart infrastructure that can provide ubiquitous connectivity to all its consumer and business customers. Ever since the £12.5 billion acquisition of EE in 2016, BT has worked to integrate its fibre, Wi-Fi and 4G networks into a single infrastructure, and recently launched its first converged products. It sees convergence as a way of differentiating itself from the competition through new services and to make its existing networks more efficient at a time when traditional revenues are being squeezed. “For years, our industry has been dominated by dividing lines between fixed and wireless, copper and fibre, licensed and unlicensed, broadcast and unicast and hardware and software,” he told Broadband World Forum (BBWF) in Berlin. “At the end of the day, as BT CTIO, it is my job to create a network that will suit the needs of customers who [don’t care] about whether it’s mobile, fixed or wireless: it’s about how they get their connectivity as a whole. “We buy smartphones to connect to mobile networks, yet up to 80 per cent of data consumed by those devices is transmitted via Wi-Fi. The future is about how multiple access technologies in fixed, can be collected into a converged, software driven infrastructure that customers want. BT’s convergence vision centres on a single core network which will lower operational costs for BT and encourage an agnostic approach to technologies by eliminating the need to log in to different networks or manually switch. There are also plans to upgrade BT’s nationwide Wi-Fi network and to launch a converged hardware portfolio that allows consumers to access the best possible signal – whether its wireless or cellular – intelligently. 5G is central to this vision, with EE launching the UK’s first 5G test network in Canary Wharf earlier this month. “We’ll be prioritising 5G rollout in areas our customer need it most, rolling out faster speeds and higher capacity so we can handle more connections than ever before, added Watson. He sees plenty of overlap between Wi-Fi 6 and 5G and hopes to be able to combine the strengths of the two standards in its converged network. Network slicing is one the defining characteristics of 5G, enabling operators to partition infrastructure into several different virtual networks for specific applications. This means that a mobile network at a football stadium might have a slice for the public and another for emergency services. “If we can deliver the right SLAs, latency and network monitoring then this has the power to transform how we use networks,” Watson declared, adding that BT Labs might be talking about trials at next year’s event.